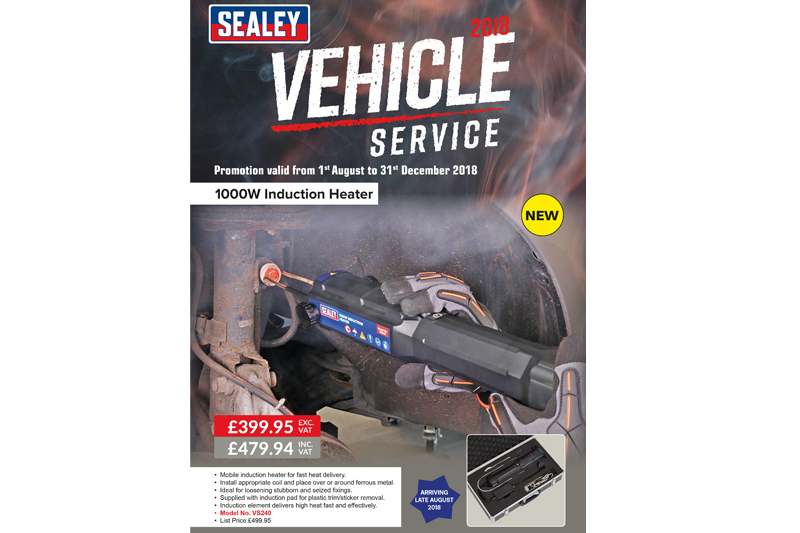 The latest edition of Sealey’s Vehicle Service Promotion features hundreds of deals on quality tools for professionals or DIY mechanics that are specifically for automotive servicing. The company has unveiled several new products in the Vehicle Service Range. These include the VS240 Induction Heater, a 1000W version of its popular VS230, and the V-Scan which is its latest multi-manufacturer diagnostic tool. The wireless Android based system enables near OE-level diagnostics using your mobile phone or tablet. Another excellent addition is Sealey’s new Diagnostic Socket Memory Safe which proves invaluable when preserving the memory of on-board electronics while the vehicle battery is disconnected. Many of the products have freebies too! The 24 page promotion has discounts up to 40% off list price and is valid to 31st December 2018. For further details, or to view Sealey’s complete range, click here.